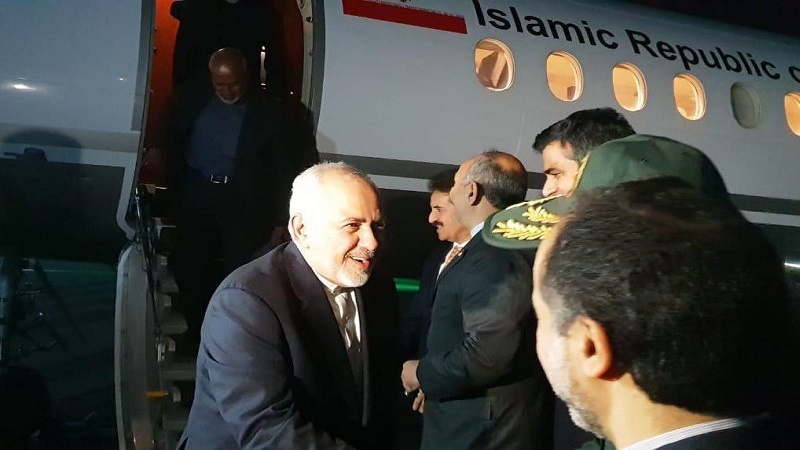 Foreign Minister Mohammad Javad Zarif has arrived in Islamabad to pursue the fate of the Iranian forces abducted by Pakistan-based terrorists near the joint border earlier in October. Pakistani officials have promised that their respective government would exert all its efforts towards securing the release of the kidnapped Iranians, he added. “Iran and Pakistan are two very good neighbors, and Tehran enjoys good relations with the country. We consult with the country on all matters,” the Iranian top diplomat noted. Zarif is heading a political and military delegation in the visit. Terrorists with the so-called Jaish ul-Adl terrorist group abducted Iranian forces in the Southeastern Iranian Province of Sistan and Baluchestan, which borders Pakistan, and spirited them away into the neighboring country. The terrorists later posted two photos of captives on its social media channel. Over the past weeks, talks have been underway between Iranian and Pakistani officials on the fate of the captives. Tehran has offered joint operations with Islamabad to free the abductees. Tehran has repeatedly filed protests with Islamabad over its failure to end terror activities on the Pakistani side of the border, calling on its neighbor to live up to its side of the 2013 bilateral security deal. Last April, the same terror group carried out an attack in the border town of Mirjaveh, taking the lives of 10 Iranian border guards. Following the attack, Foreign Ministry Spokesman Bahram Qassemi said Pakistan was accountable for letting armed bandits operate on its soil. The Islamic Republic says that in such cases, it reserves the right to pursue potential attackers back into the countries they may originate from.